I used cpvc for the in-wall pieces that drop through the floor and pex underneath. 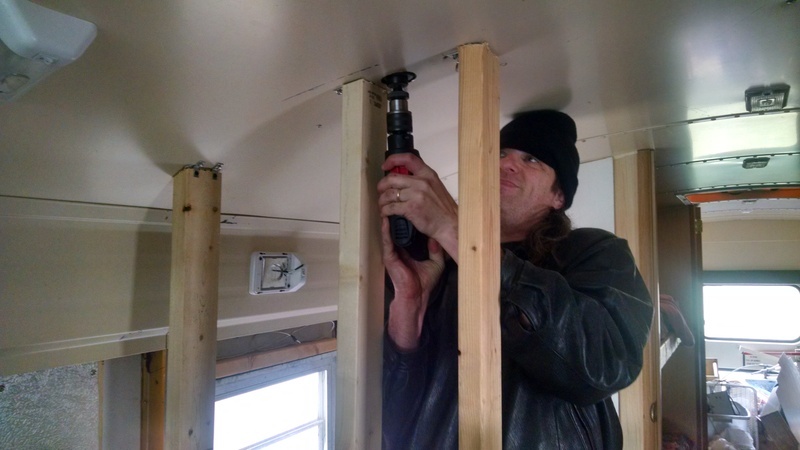 Kitchen sink supply drops... Notice the black pipe plumbing in this pic... propane plumbing in progress as well. Started framing in the bathroom and cut the *shudder* first and (hopefully) only hole through my roof. 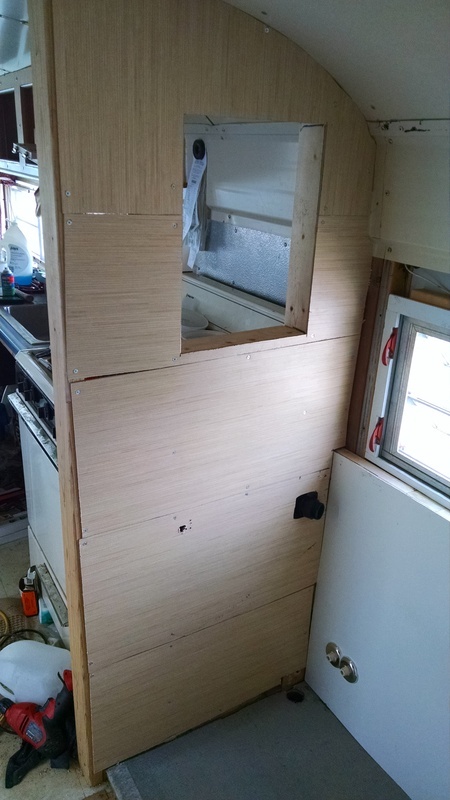 We used some scraps of wallboard to support the FRP in the bathroom. 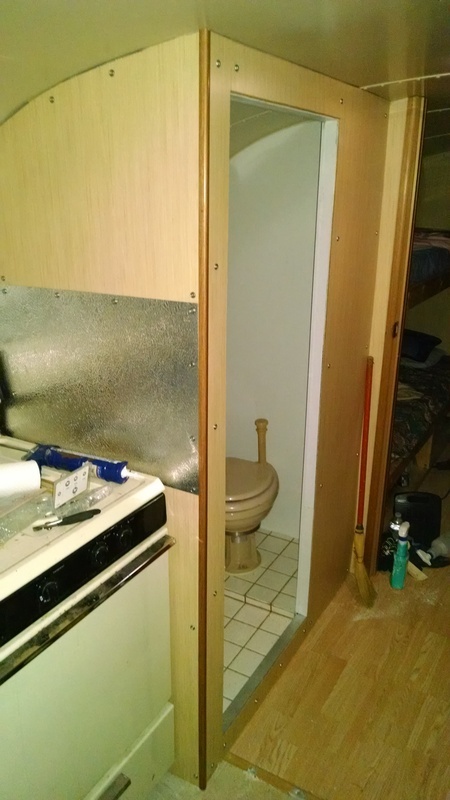 FRP up on the forward wall... installed a ridiculously large medicine cabinet for the size of the bathroom. 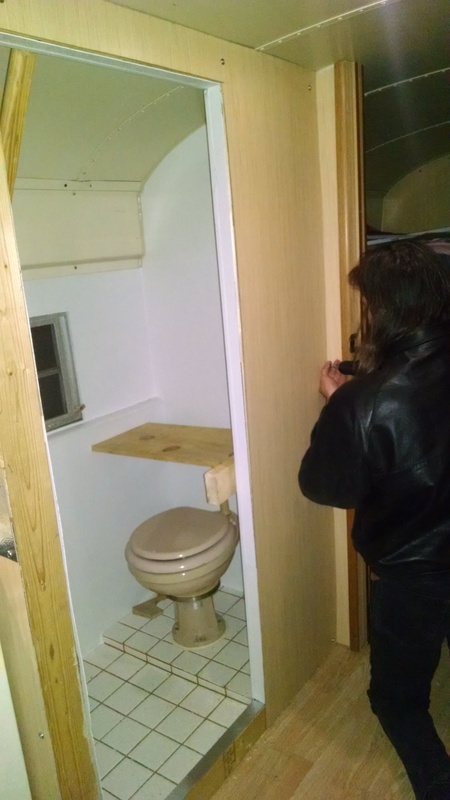 Intentionally set up the mirror to open on the right, so the Mrs can open it and do her hair from outside the bathroom. Well, that's enough posting for one night... stay tuned. That's some pretty cool porcelain you're putting in there. Thanks! Since it is a shower pan as well as bathroom floor, we figured we needed something fairly waterproof. I pressure tested the fresh water system yesterday and there was only one minor leak in a very accessible place! Considering there's probably at least 30 connection points, I'll take that any day! It looks like you caulked all of your piping penetrations. 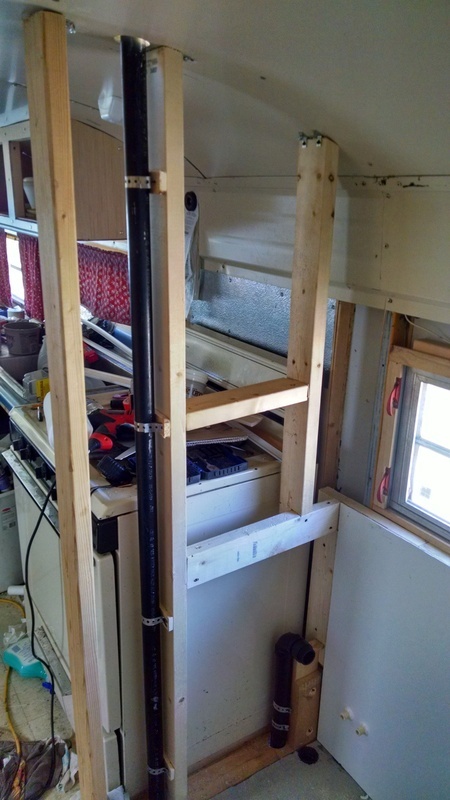 I like to either put a PVC pipe sleeve through the metal or to use rubber tubing (old water hose) on any penetration for rub protection.and then seal everything. Eventually the caulking will/could seperate and then the piping could rub and as thin as my floor metal is (15-guage) it wouldn't take long before I was trying to fix leaks in the worst spots. Just my opinion and observation? 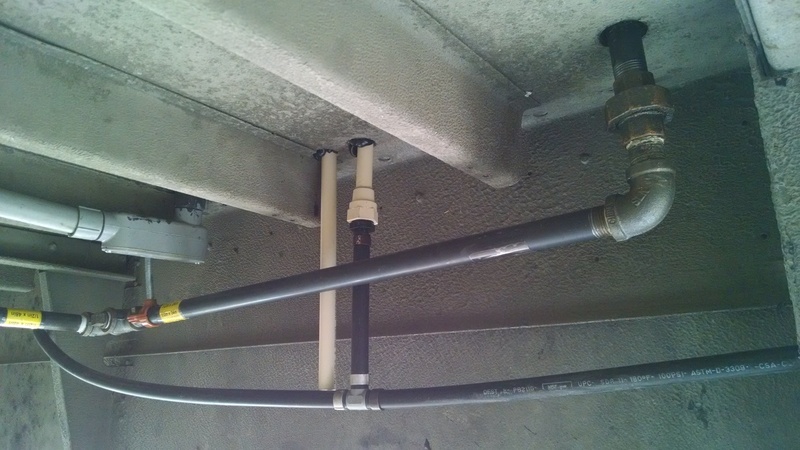 I have been a pipefitter, plumber for a many a year so to me my piping is secured at every turn, both sides of every penetration, every penetration is sleeved and rubber protected and most of that is because once done? I don't plan on ever looking at it again. Might be overkill but every preventative measure that can be taken will allow more time before it is a problem. In my mind? A little late for your build but they do make a brush/roll on waterproofing membrane to go under tile for wet areas and I found some leftover's on a job that I used to help fix my neighbors pool liner with but it was only dog claw punctures but 3-yrs later its still holding. 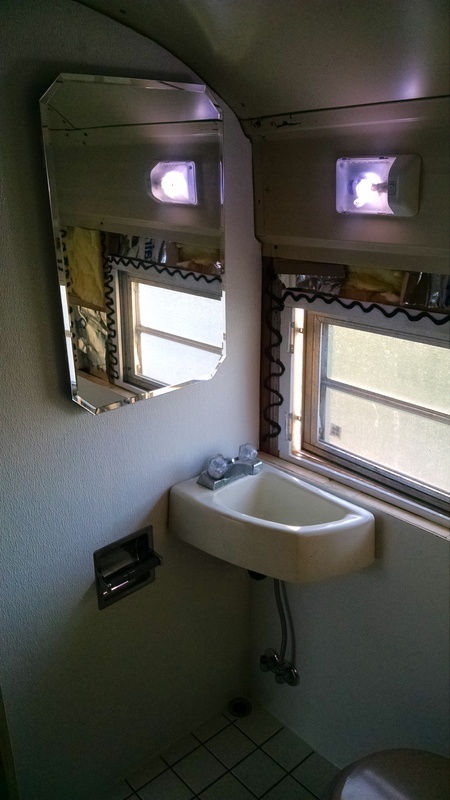 Where did you get the bathroom sink? That is EXACTLY what I am looking for and I'd positively kill for it. (Hmmm. Where did you say you lived? Kidding!!!! But please share a link to the sink if you have it). I fixed my leak... believe it or not, I forgot to crimp the pex ring at that connection. I guess 29ish out of 30ish ain't too bad. 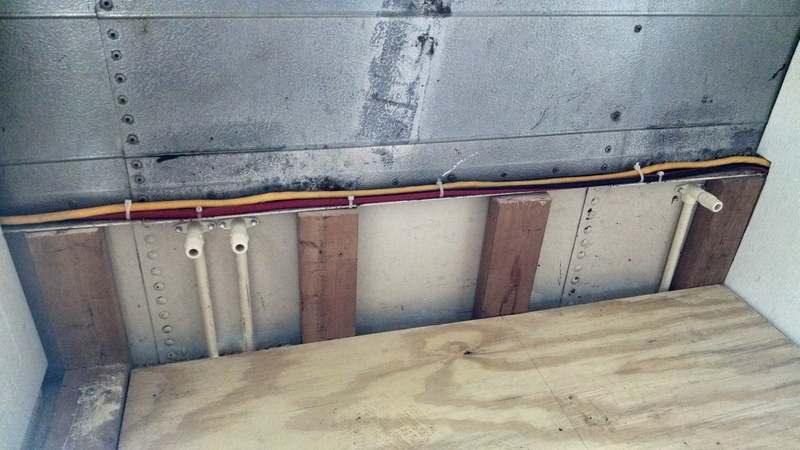 The pvc coming down through the floor shouldn't be able to contact the edges, as it is short (< 2 foot?) and affixed to the wall, so the caulk is more for anti critter/water entry than avoiding rubs. 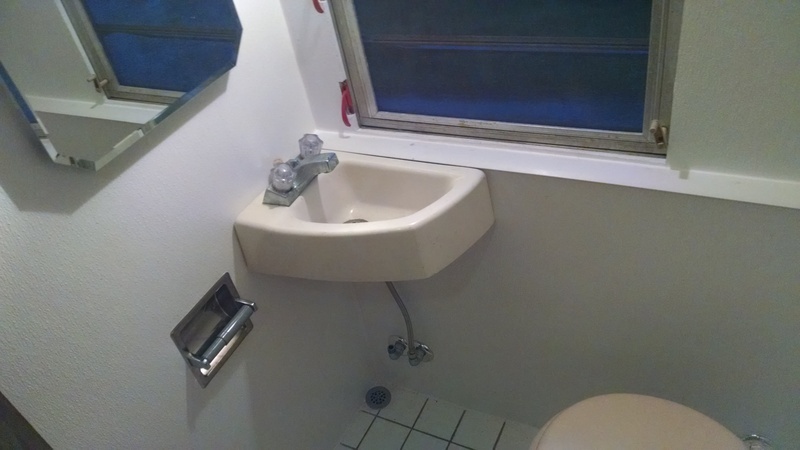 The sink was salvaged from my old motorhome before I scrapped it out. Tiny, but functional!